When it comes to sire lines, some traits are more important than others. But regardless of where you are and who your customer is, quality will always be number one. For that reason, the Hypor Magnus makes superior carcass and meat quality a top priority. 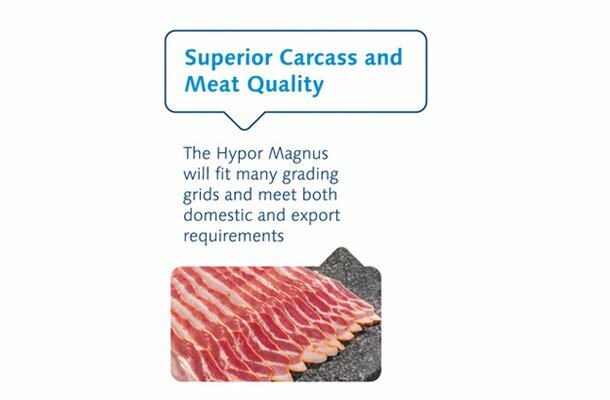 Thanks to impressive carcass yield and desirable attributes that satisfy both domestic and export markets, the Hypor Magnus delivers quality you can count on. Successful pork production is all about crunching the numbers, and the better they are, the better it is for your bottom line. With its higher carcass yield percentage, the Hypor Magnus gives you more lean meat on the carcass, which means more money for the producer and a more saleable product for the packer. 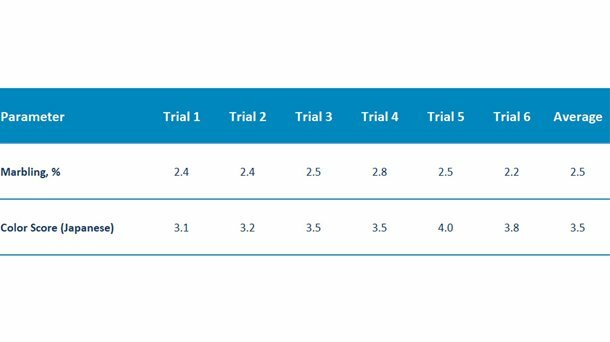 Trial after trial, the Hypor Magnus has a greater carcass weight and carcass yield. 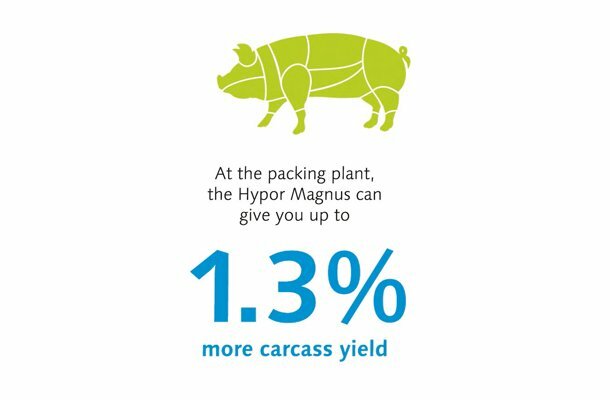 Compared to the lowest yielding competitor, the Hypor Magnus produced $3.68 more revenue per carcass. Regardless of the volume, that adds up to a significant boost for the one number that matters most: total profit. While the demand for quality is universal, the challenge for producers is that different markets define “quality” in different ways. This leads to a critical question: How do you satisfy a variety of markets with a single sire line? The answer, as our customers are learning, is the Hypor Magnus. Many markets today want the leanness of the Piétrain, but they also want color and marbling, so the Piétrain is too pale for their market. In the past several years with Magnus development, we have aimed for a leaner animal that fits more markets without compromising color or marbling. This aim has translated into reality with ideal marbling and color to meet mainstream markets, but also the most premium, where marbling must meet or exceed 2.5% intramuscular fat and color score must meet or exceed 3.5 (on a 1 – 6 subjective scale) (see figure below). Countries such as Vietnam, Thailand, the Philippines, Taiwan and China place a premium on leanness and color, which fits perfectly with the qualities of the Hypor Magnus. 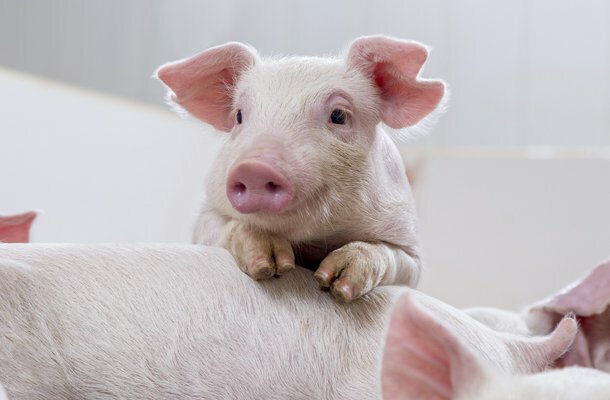 In addition to varying tastes, different regions of the world have distinctive ways of moving pork from producer to consumer that need to be considered. For markets like the United States, Canada and Europe, carcass quality decisions are made by the slaughterhouse. The plants know what they want and will only take pigs that meet their specifications, or give a hefty discount if you do not meet those conditions. Each slaughterhouse will have their own grid, so it depends where you are sending the pigs, but the Hypor Magnus fits most grids in numerous countries. Yet in parts of Asia, a trader acts as middleman between the producer and slaughterhouse. 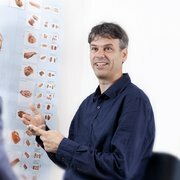 The trader determines price based mainly on conformation, which is highly correlated with meat percentage and leanness. That’s why there is a big focus on leanness and carcass quality in these markets, and since that’s also the focus of the Hypor Magnus, it’s a perfect fit. A lot of markets are also concerned about drip loss, and for good reason. 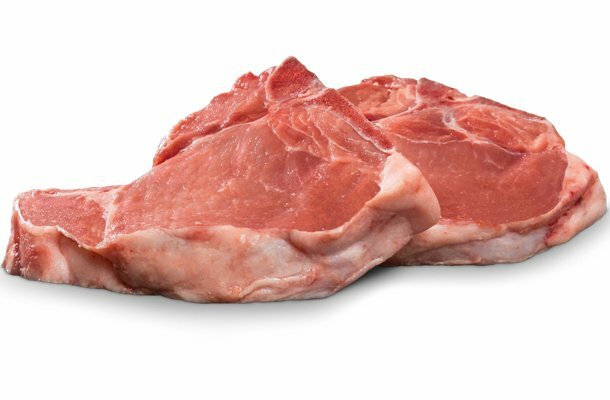 When water is lost from the meat while the carcass hangs (drip loss), it decreases the carcass weight and, in the process, lowers the saleable meat, quality and potential profit for the processor or slaughterhouse. That’s why high water-holding capacity is crucial for many of our customers, and why we ensure that low drip loss is an important trait to consider for the Hypor Magnus. For Hypor, delivering Total System Profitability to our customers requires lowering costs and raising revenue. While the Hypor Magnus reduces your outlay by enhancing feed conversion and daily gain, maximizing the value you obtain from each carcass has more to do with yield, carcass quality and meat quality. By design, the Hypor Magnus excels in all three areas, and when your sire line succeeds, so does your business. As well, by adopting a pure Duroc sire line rather than a crossed, synthetic sire line Duroc used by some competitors, the Hypor Magnus ensures more uniformity in leanness, shape, daily gain and final weight. This results in fewer days per turn and more turns per year in the barn. Consequently, the benefits you gain from the superb meat quality, color and intramuscular fat of the Hypor Magnus, along with its low drip loss and high carcass yield, won’t just apply to some of your animals, but to your entire herd. There are a lot of unknowns in the pork business. With the Hypor Magnus, however, you know you’ll get outstanding carcass yield and a quality product that will satisfy a wide range of buyers.